Helping the People Help the Land! The Wise Soil and Water Conservation District is a legal subdivision of the State of Texas. It was organized by local landowners with mutual interest in conserving soil, water, plant and wildlife resources. Our District is governed by five landowners who make up the Board of Directors. The Board directs activities of the District and coordinates conservation efforts of local, state and federal agencies. The well being of our people depends upon the production of ample supplies of food, fiber and other products of the soil. 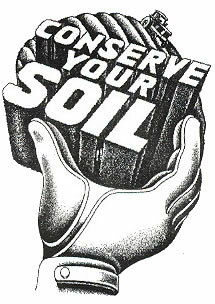 The quality of these products is dependent upon the preservation and proper management of our soil and water resources. Each Wise County Resident has an interest in the land and must share the responsibility of preserving its productivity. The Wise Soil and Water Conservation District Provides a practical, democratic means of coordinating our conservation activities. No person, on the grounds of race, color or national orgin shall be excluded from participating in, or be denied the benefits of, or be otherwise subjected to, discrimination under any program or activity of the Wise Soil and Water Conservation District. The Wise Soil and Water Conservation Board of Directors (from left to right) are Bill Fennell, Rhome (Zone 2); Harold Remmele, Paradise (Zone 4); Gary Green, Bridgeport (Zone 5); Cody Gillispie, Greenwood (Zone 1); Paul Wood, Boonesville (Zone 3). Copyright 2012 Wise Soil and Water Conservation District. All rights reserved.